Enjoy the latest water sports activities on your vacation! SUP (Stand-Up Paddle Board) rentals are available for your enjoyment at Rodanthe Watersports & Campground. 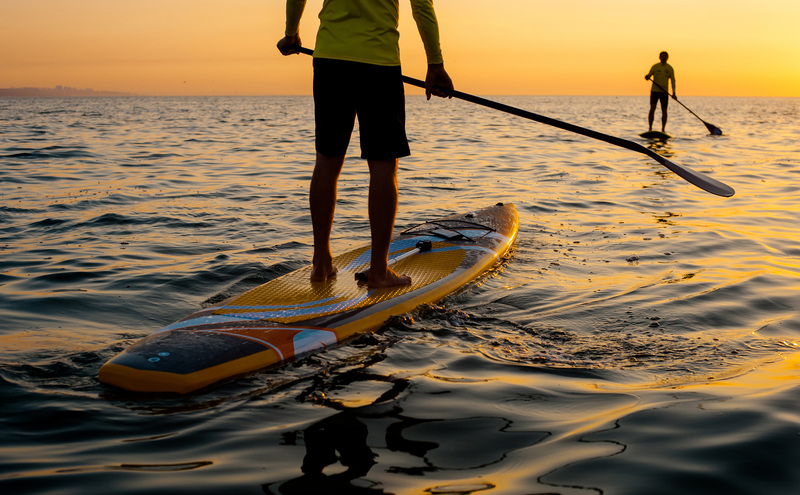 Soak up the sun and fun as you paddle on your SUP across the soothing, warm, and shallow waters of the Pamlico Sound or take them to the ocean or wherever you'd like. SUP rentals are open to the public ask about our local delivery and SUP, surf and sailing lessons. Great fun in the ocean or sound, paddle included. Wetsuits are available for rent at a discount.